Rusty relished in the village-like synchronicity of Santa Fe where he felt he was always in the right place at the right time to run into an old friend, see a painting or sculpture by an artist he knew, or catch the perfect sunset. These occurrences were for him a confirmation that it was not six degrees but more like two degrees of separation that guided his own life and the life of his community. Rusty came to New Mexico at the age of four when the family moved from Columbus, Ohio to Albuquerque after his father’s WWII buddy, John Simms, sought his help with his campaign for Governor. Rusty graduated from Highland High School and attended the University of New Mexico. It was during his time at UNM that his artistic skills began to flourish – undoubtedly due to the countless hours he spent in the Student Union crafts area creating jewelry and pottery. He would later complete a degree in Art History at Purdue University. In 1970, Rusty participated in the peaceful Strike at UNM in protest of the Viet Nam war. He was the first of several students and individuals who were bayonetted by the National Guard as they advanced across the mall after being called up by then-Governor David Cargo. Rusty would later become a plaintiff in a landmark (but ultimately unsuccessful) lawsuit against the State and the National Guard. 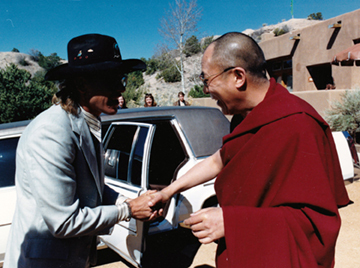 A beautiful full-circle moment in his life would come twenty-one years later when he returned to the exact location of his stabbing in front of Popejoy Hall – this time as the volunteer driver transporting a prince of peace, His Holiness the Dalai Lama, to his public talk there. 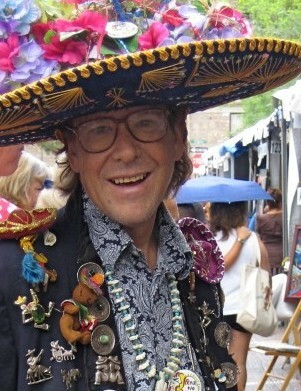 Rusty found success as a dealer of Southwestern jewelry and contemporary art and worked for a time at Fenn Galleries and later for galleries in Los Angeles. Among the LA artists he associated with was Andre Miripolsky, who coined the phrase “Fear No Art” that appeared on the pin Rusty sported wherever he went. In 2001, the sentiment encapsulated in this phrase inspired Rusty to engage in a silent counter-protest in which he donned a plastic-flowered bra and stood outside the Museum of International Folk Art in support of artist Alma Lopez whose artwork depicting a bikini-clad image of the Virgin of Guadalupe was engulfed in protests. 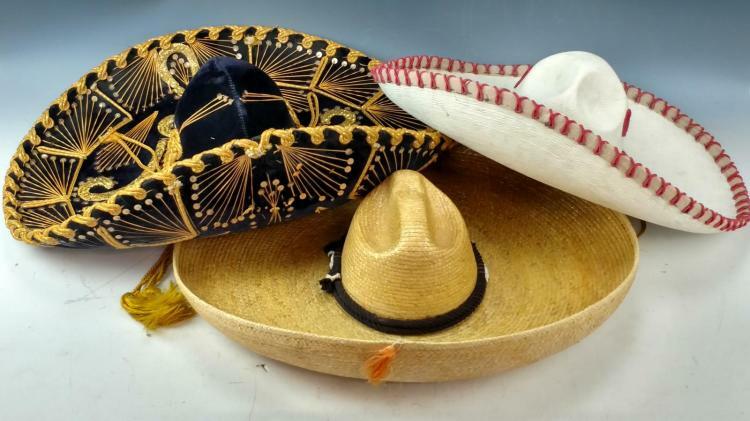 A chance encounter at the Flea Market led to one of Rusty’s favorite pursuits – collecting, displaying, and wearing a compendium of sombreros. His activities resulted in a fonds collection that eventually numbered in the thousands, and “Sombreroman” – the moniker he ascribed to his alter ego – was a frequent fixture at art openings and events where he gave a smile to everyone he encountered. Indeed, it is Rusty’s undying wish to spread happiness and joy for which he will be most remembered. Rusty was preceded in death by his father Jim and mother Elizabeth. In addition to numerous friends, Rusty is survived by sisters Julia and Anne (Dave), brothers James and Tom, a nephew Jeremy, and a niece Elya. 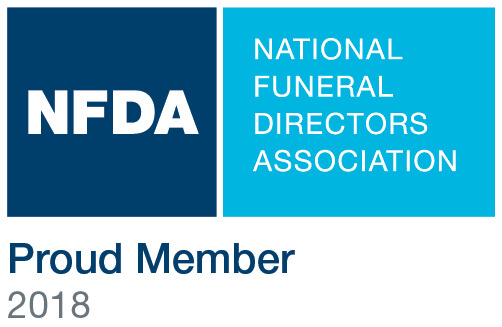 To be notified of an upcoming celebration of life send your contact info. to: james@studiopassport.com. Persons wishing to acknowledge Rusty’s memory are also encouraged to make contributions to Kitchen Angels: kitchenangels.org/donate.